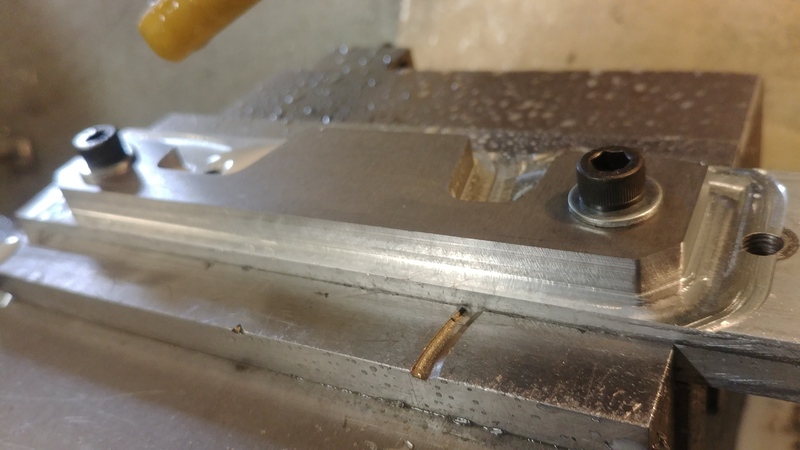 I've been asked a couple of times recently if I have any of the 3.6 cam locking tools I used to make, so the other week I did a run of them at work. If anyone's interested in getting one then ping me a message for details. 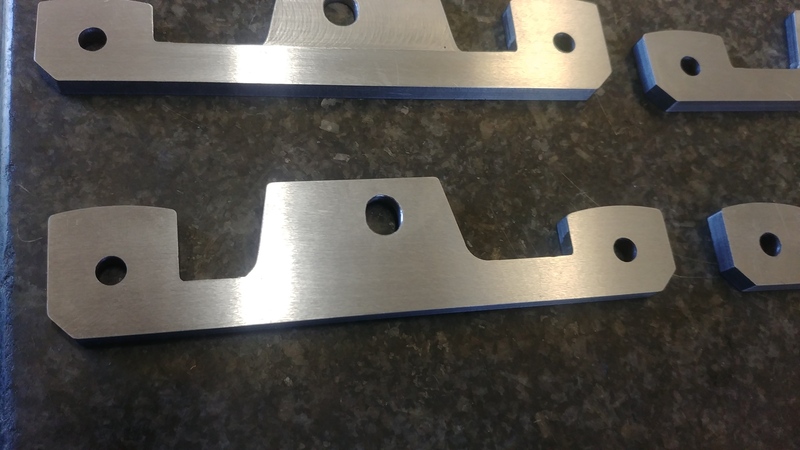 First job is to chop the plate up into smaller pieces and drill a couple of holes in them so they can be mounted on a jig ready for maching the profile on my CNC Miller.. The jig is pretty simple. 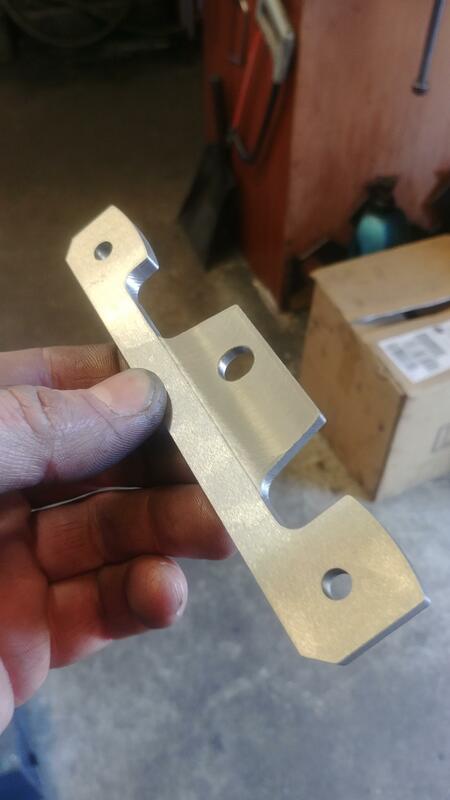 Just a block of Aluminium with a couple of M6 tapped holes in (same position and orientation as the drilled holes in the plate. 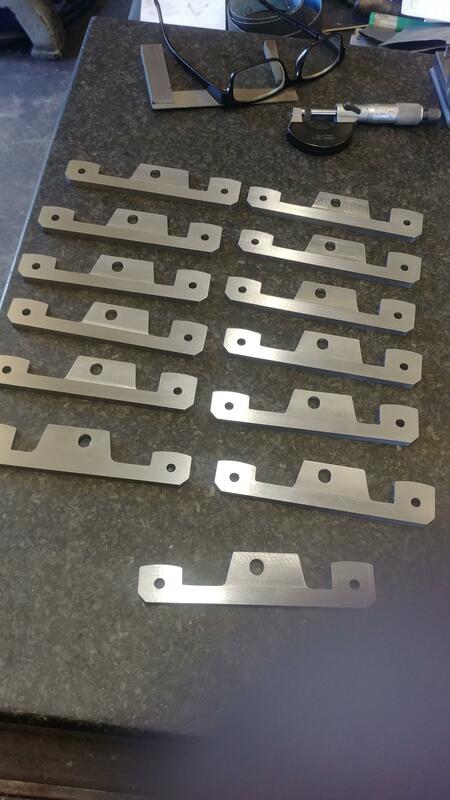 Each piece then bolts directly on the jig ready for machining. 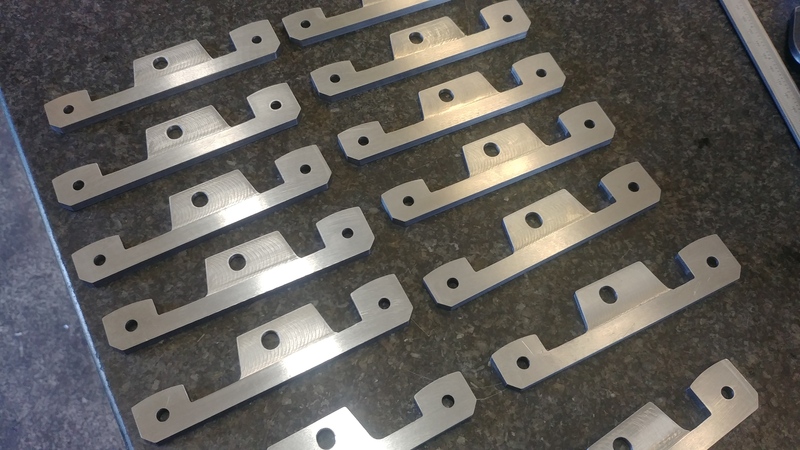 Once all the tooling is set up for each process: roughing out profile, finishing profile, machining 8mm slot, machining step, then the action can begin. 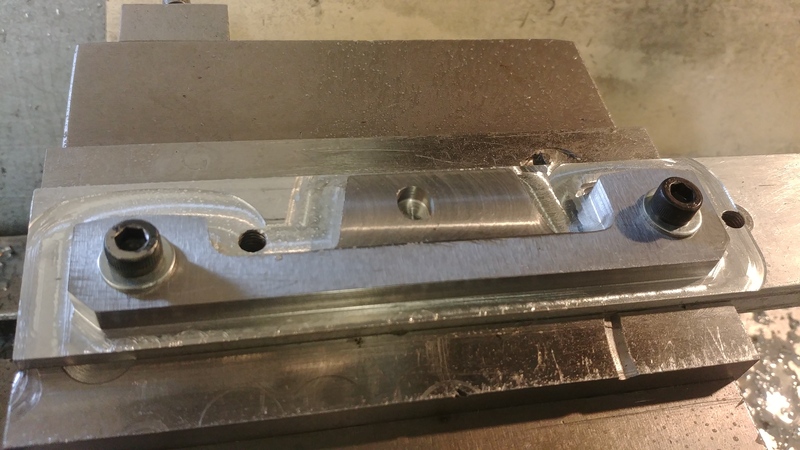 First job is to rough out the profile using a 'ripper' End Mill. 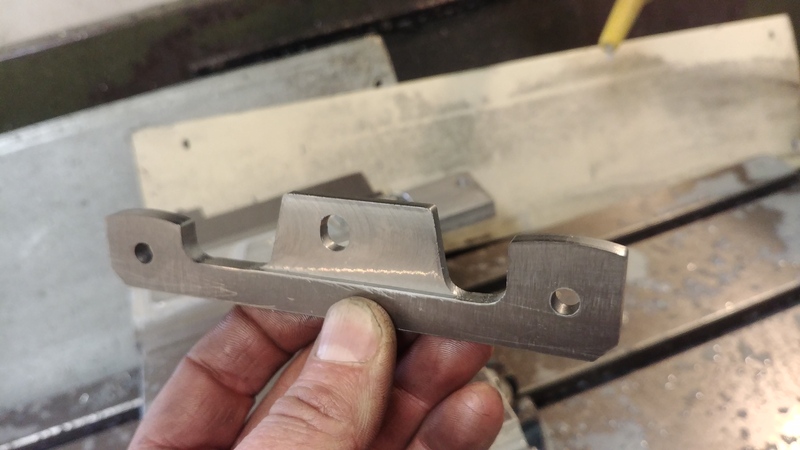 Here it is roughed out ready with 0.1mm left on for finishing. 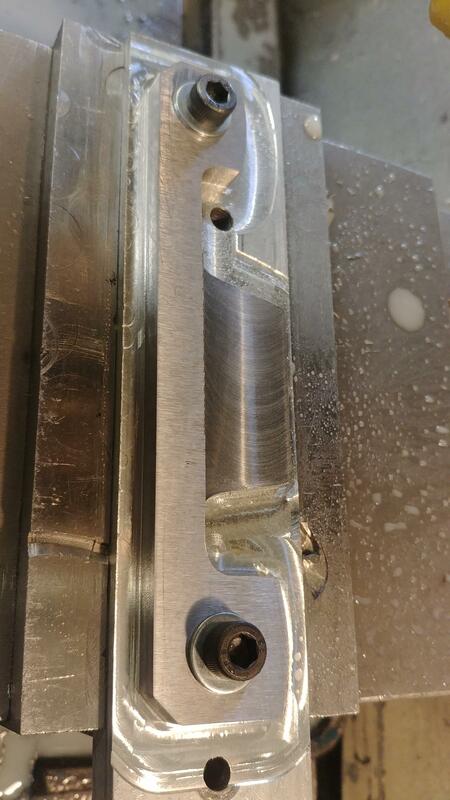 Then a finish cut is done with a standard End Mill to take the profile to size and leave a smoother finish on. 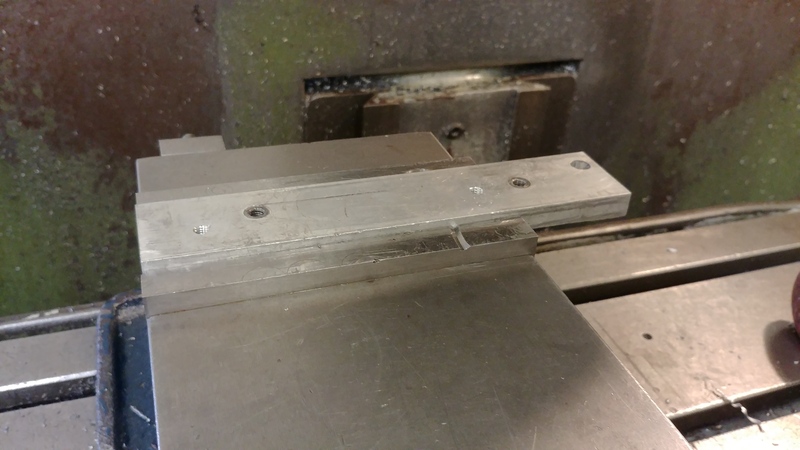 Next process is to machine a stepp across the central part that bolts to the engine block. 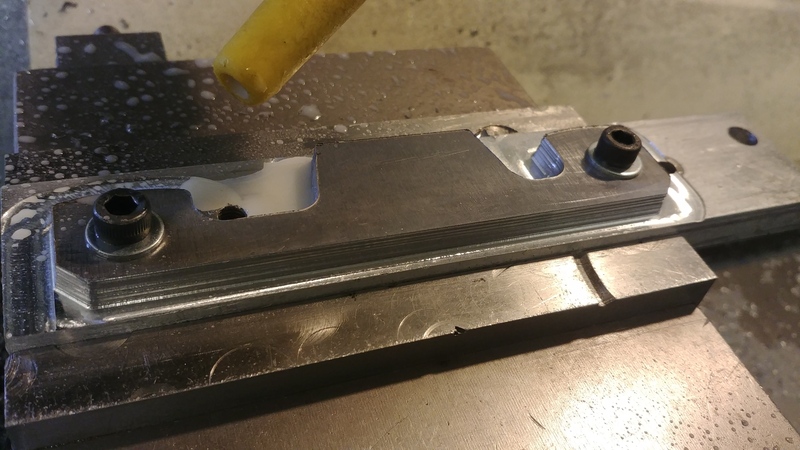 .....and the last process on the Miller is to machine the 8mm slot in the central part (for the bolt to go through when locking the cams. 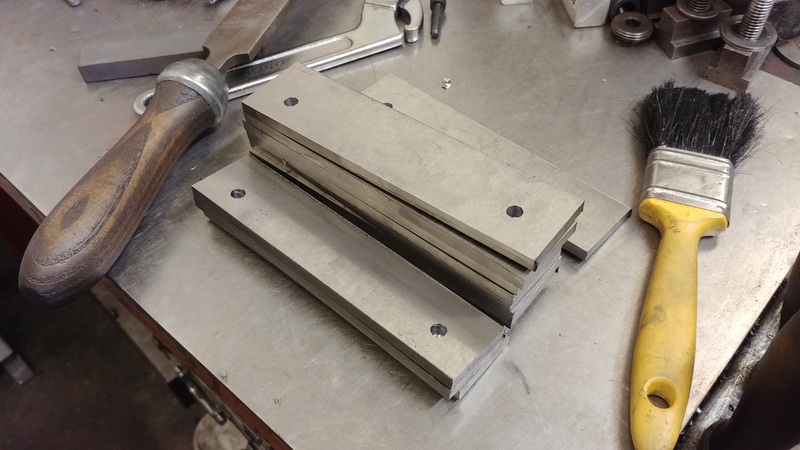 There's all the milling done. 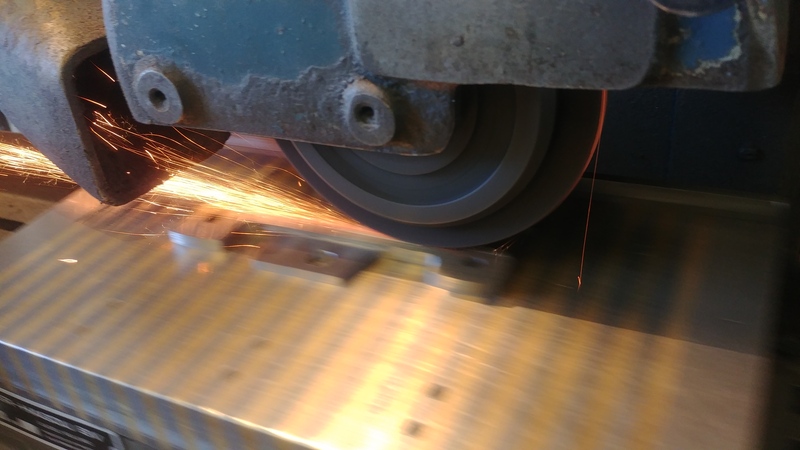 The material is ground to 6mm + a few hundredths so to ensure it goes into the slots on the cams and to make it look a bit nicer I give it a quick lick on the top & bottom on the Surface Grinder. Shazaam - the finished article. Hope you enjoyed "A day in the life of Alex"
For those with a sharp eye, I missed documenting the last process of squaring the corners out on the lugs that lock in the cams. 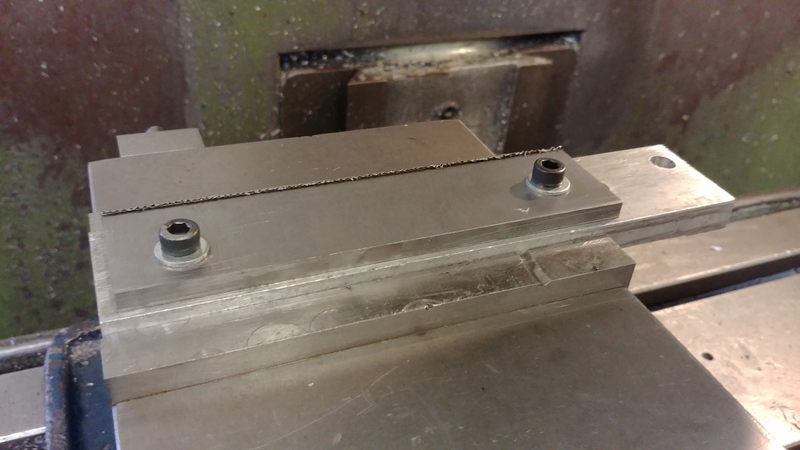 I did this with all the tools stacked together on my Surface Grinder. Thanks for sending mine so quickly.....much appreciated! No problem my friend. We're all in it together and I always like to bring something to the party. Hey Alex, my tool arrived today! Beautiful work! Hard to put it away in tool box as it's so pretty....might have to mount on the wall Thanks!